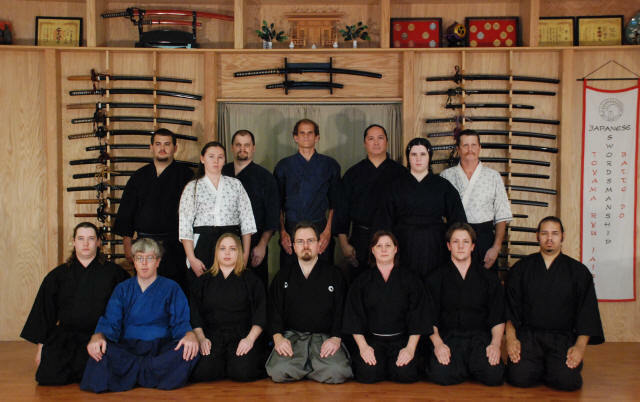 Want to learn Japanese Swordsmanship, but don't have a good local dojo? We offer a special program that gives you the opportunity to get an intensive training experience while your family can enjoy our sunny Florida beaches. You can learn more about our dojo and style by going to www.toyamaryu.org. 10 hours of training packed into a single weekend. Programs range from training only to all inclusive starting packages that includes a uniform, iaito and shinken for under $1000. Your training will be personalized to match your experience level. Class size limited to 4 with multiple instructors providing plenty of one on one training. No martial arts experience required. You will earn a rank of Rokukyu in the Konjaku Kioi dojo after your first weekend. Testing for higher ranks available when you return for more training. This is an adult class with minimum age of 16 (parental attendance required for students under 18). Includes 2 tatami targets (more can be purchased separately - maximum of 6 total). Includes lunch daily in the dojo tea room. Call 727-329-9679 to reserve your place in class!